Discovering the Meaning of Friendship in Mongolia | WWAM Bam! Having lived hundreds or thousands of miles from family members for most of my adult life, friends have become my chosen family, as the common saying goes. They’ve given me rides home after dropping my car off at the shop, or when I’ve had too much to drink. They’ve been there to comfort me when I came out from emergency surgery, and to wash my hair in the days that followed. They’ve taken me out to celebrate accomplishments, both big and small, and listened to me work through tough decisions and relationships. More than one friend has been on my phone as an ICE–In Case of Emergency-Person. If my world fell apart, I could call and she (or he) would be there for me in whatever capacity I needed. 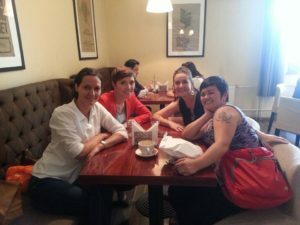 Before moving to Mongolia, I connected (via Facebook) with fellow American women, married to Mongolian men, and on the day of my arrival we created a secret (private) Facebook Group, the American Wives Club. These women–initially four and now seven of us–helped me assimilate into my new and foreign world. They knew where I could find Kraft parmesan cheese and shower curtains. They explained the detailed process to acquire a spousal visa or a drivers license. They knew where to send me for a bikini wax and haircut, and most importantly, they could commiserate with me on those things which were lacking (as compared to my previous lifestyle in the U.S.). There are no words to explain the comfort found in the solidarity of these sisters. In my naiveté, I assumed people–the world over–experienced and participated in this form of friendship, had similar definitions for what constituted a friend. However, after living in Mongolia for a year and a half, I’ve come to question that assumption. I’ve lived in four different U.S. states–MI, PA, ID, and CO, and now in Mongolia. I’ve served in the military, worked in the tech industry, and now work as an educator. No matter where my life travels have taken me, I’ve been fortunate enough to find women in every location and circumstance with whom I “click.” However, it doesn’t seem that this happens for everyone. It has saddened me to discover that for (many) Mongolians the terms friendship and friend do not have the same meaning or value. On the day I arrived into Ulaanbaatar (UB), a man I’ll call Tulga picked us up and proceeded to drive us–me, my future husband, teenage stepson, and my father (who happened to be visiting for my first two weeks in-country)–into the city and to his restaurant where he treated us to dinner. My husband introduced the man as his good friend. (Tulga and his family split their time between Mongolia and Canada.) The five of us drank, talked, ate, and enjoyed one another’s company for two or more hours. That was over a year and a half ago and I have not seen Tulga again; my husband has seen him just once. This was a good friend? I wondered. I met many of my husband’s friends over those beginning months. He chatted with them on Facebook, talked with them on the phone, and sometimes met with them for social engagements. In that beginning time I wanted to know what I should do if I needed help and couldn’t reach him (my husband), as I didn’t yet have any Mongolian language skills. He told me to NEVER, under any circumstances, contact one of his friends for help. I was to trust only family. This baffled me. Especially knowing that his parents and other family members did not speak English. I was instructed to rely on my stepson (now age 16) as interpreter and to not share information–of any kind–with friends. I was left to wonder: What kind of “friends” were these people? Sharing (private) information with my friends was how we initially found commonalities, and how we grew deeper in our friendships. It was in sharing fears or worries and supporting one another through challenges that friendship evolved. My husband spent seven weeks with me in the U.S. during our courting period, and he met a great many of my friends–male and female. He enjoyed the social interactions, but continually asked why I share so much information with these people that were not family. My answer–they were my friends. I have come to recognize that my husband uses the term “friend” regularly and often, but that there is no one–besides me–that he shares his inner world with. He does not have friends that are confidantes. He has no friends as I define them. Maybe this was just him? I thought. I have discussed this topic with others in an effort to educate myself and to understand these differing experiences of friendship. 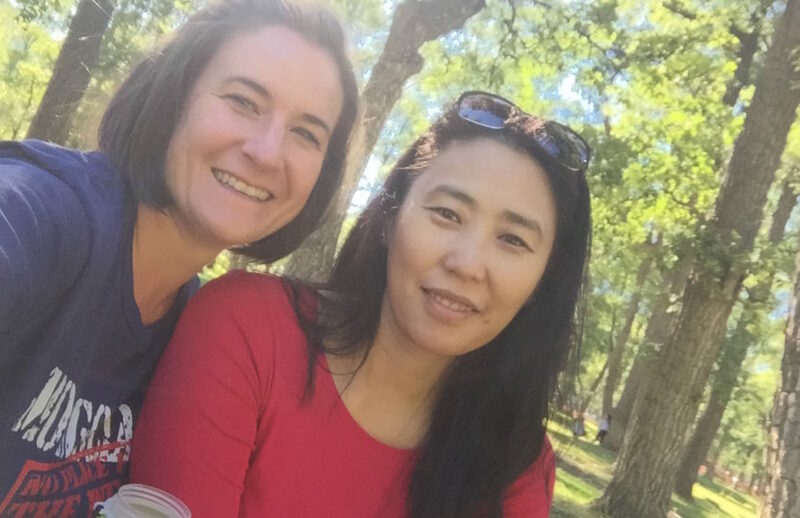 Over time I have befriended Mongolians who have shared their perspectives, and I have discussed the topic with some of my American wife gal pals (they’d all been living here for years before I arrived). This is an ongoing study and I am by no means an expert. What I share next is my opinion and observations–to date–nothing more. Fellow foreigners have struggled for these reasons in their efforts to forge authentic friendships with Mongolians. It’s true that as foreigners who don’t know the language (yet! ), we sometimes NEED the help of a person that can speak English and Mongolian. Sometimes our spouses are not available to help us. But some have found that that “help” doesn’t come without strings attached. There is often an expectation of reciprocity when help is provided. I can’t help but feel that this disparate view of friendship comes from two places, both of them historical. First, Mongolia is, historically, a nomadic country (current numbers say that 40-45% of the population still lead a nomadic lifestyle). For centuries Mongolia’s citizens traveled with their livestock to the next seasonal field for survival. They led solitary lives and only passed time occasionally with others when their migratory paths crossed, but any sense of long term friendship was not probable in this transitory lifestyle. It WAS your family with which you lived, worked, and survived. Secondly, we have the shadow left behind by 70 years spent under a Soviet-dominated Communist regime, as explained by the Embassy of Mongolia to the United States. As an American that comes from a capitalist economy and a representative republic government, I consider Mongolia as having spent years as a Communist nation. However, many Mongolians, who refer to that time period as the “socialism period,” think highly of Russia’s influence and its support of their nation. I sense that while Mongolians are proud of their recent democracy (1990), many also seem wistful for the simplicity of that old time (when the government provided so much). Most visitors to UB might agree that the city feels somehow more European, than Asian. Certainly everyone looks Asian, but those 70 years of Russian influence didn’t only impact the architecture and alphabet, it created a host of feelings and sensibilities that make Mongolia stand apart. I am sad that my husband doesn’t know friends the way I know friends. With only one sibling who lives abroad, his family is small (as compared with other Mongolians). He would benefit from good friends to pass time with, as well as to trust and rely on. However, as a man in his midlife years I’m also aware of the changes needed to overcome his historical understanding and beliefs about friends and friendship. I have been fortunate to make good friends here–both foreign and Mongolian–and I hope he sees how it could be, how it can be. As Western sensibilities and attitudes creep into UB and greater Mongolia, perhaps we can bring this experience and understanding of friendship and NOT just share our “keeping up with the Joneses” mentality, overbooked calendars, and processed fast food. Ah, I thought, this gives me hope. Perhaps this next generation will have a hybrid understanding/experience of friendship. As I consider myself to be on a journey to understand myself and the greater world around me, I like to end my posts with questions. I would love to hear from other WW, making lives with AM, and living in other Asian countries–how is friendship viewed and experienced where you are? How does it relate to your experiences and understanding of friendship? Has it been easy for you to build authentic friendships with local women in the Asian country you now call home? There is a similar sensation I think in China, a sense that sharing personal and intimate issues with non-family is an invasion of privacy, airing your dirty laundry, and so it is frowned upon. I also have struggled to connect on a deeper level with Chinese, there are few that I have stayed friends with for years. And my husband is often perplexed and sometimes irritated to see that I will prioritise my good friends’ needs, because as you say rightly, they are family to me. Interesting how the concept of friendship differs in various cultural contexts. I’m married to a Dutchman and I lived there (in NL) for several years. In the Netherlands, friendship is more sacrosanct. If you call someone a friend you likely have a long history with that person. As a foreigner, it is especially hard to make Dutch friends. 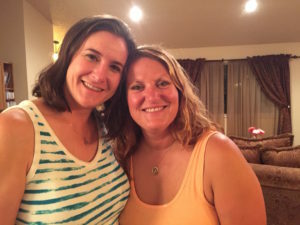 As a result, in the Netherlands American women married to dutch men tend to form tight circles and there are several facebook groups that enable them to connect. There is a group called ‘women with dutch partners’ (wwdp) that meets regularly. I met my husband in 1989, a time before computers and cell phones which means I didn’t have access to skype or facebook to stay connected to friends back home or connect easily with other expats in NL. I am often envious of expats today that have the luxury of these conveniences. It’s not as hard being an expat in Western Europe today as google translate, facebook, and skype remove many of the barriers and frustrations. All that said, it was interesting to read how Mongolians view friendship. Their perspective and your insights resonated with me and my experience. Thank you for your thoughtful comment. You make a good point–about how expats today have an easier way of connecting via the internet and social media. I’m a member of a small group (private FB group) of women–all Americans married to Mongolian men. We experience solidarity in our sisterhood. Sharing our experiences/frustrations and supporting one another through life is crucial.